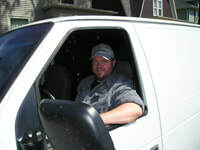 Chris and Brian Enterprises was incorporated in November of 2009 to offer handyman services, serving Racine and the surrounding communities. 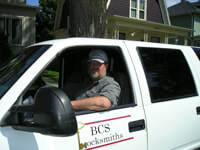 In June of 2010, we registered the trade-name BCS Locksmiths to show our customers we are focused on locksmithing as the core of our business. We are professionally trained and fully insured locksmiths in Wisconsin. We also offer basic RV and general handyman services. 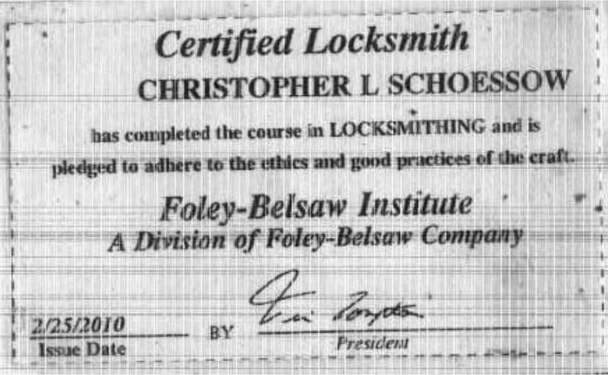 We recently joined the ranks of the Institutional Locksmiths Association and are considering membership with Associated Locksmiths of America. We attend regular manufacturer supplied training seminars to keep familiar with new products, tools, and techniques. We are an owner/ operator business. We are a mobile service but we do allow customers to drop off locks and even vehicles occasionally for service at our Mount Pleasant location. Brian has robotics and electronics degrees and a locksmith diploma, 18 years experience in electro-mechanical and high voltage electrical technologies, with 14 of them in R&D, and 10 years in RV service followed by 5 years in locksmith services. Chris’s experience includes advanced training in automotive suspension and brakes, 10 years in a custom machine shop, and 4 years in boat and RV services followed by 11 years in warehouse management, a year in HVAC service and 5 years in locksmith services.